Northwest of downtown Houston lies a little piece of heaven for those, like me, who love books, journals, and quiet place to sit and read. 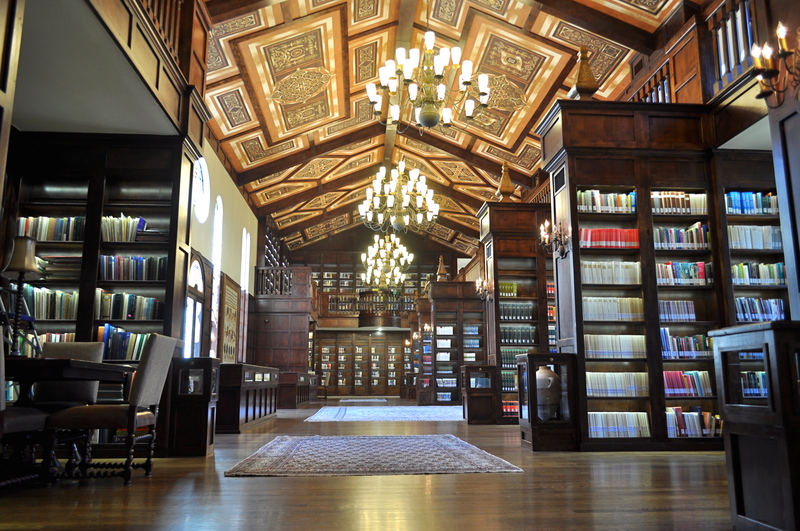 In 2010 Mark Lanier, one of the country’s best trial lawyers and probably the best Bible teacher you will ever hear, built the library and began to fill its exquisitely built shelves with monographs, books, reports, and journals from all around the world. Mark along with Charles Mickey, the library director, and a great staff have collected to this date more than 80,000 volumes on a wide range of subjects touching on archaeology of the ancient near east, Bible, the Dead Sea Scrolls, Egyptology, linguistics, theology, and related topics. Whether you are looking for primary texts or secondary, the Lanier Library is a place to go for a day, a week or a month or more of concentrated study. Though the library is held privately, it is open to the public not as a lending library but as a research library with superb facilities and exquisite hospitality. The library is built according to Mark’s unique vision of a Cambridge library right in the heart of Texas. In fact, once you leave Houston’s heat and humidity for the comfortable climes of the library hall, you will think you’ve been transported across the pond to one of Europe’s best and finely appointed libraries. As an added bonus, four to eight times a year Mark and his staff host public lectures featuring some of the best scholars and thinkers in the world. N. T. Wright, Alistair McGrath, Richard Bauckham, Justice Antonin Scalia, Peter Williams, James Hoffmeier, Simon Gathercole, Edward Fudge, and Father Justin are just a few of the scholars, artists, and leaders who have stood in the pulpit of Mark and Becky Lanier’s replica of a 6th century Byzantine chapel and lectured to hundreds or thousands of listeners. And if that were not enough, during lecture weekends Mark hosts local, national and international scholars for panel discussions on topics touching on the main lecture. These too are open to the public. Past lectures are masterfully videotaped, edited, and made available to the public at the library’s website for free: www.laniertheologicallibrary.org. Future lectures are also announced with a link to registration. If you are anywhere near southeast Texas, make it a point to visit the library on a regular basis. Their staff will treat you as one of the regulars. If you are planning a holiday in Houston, after you stop at NASA, drive north to the library for a few hours of browsing in one of the most peaceful places and beautiful places in H-town. 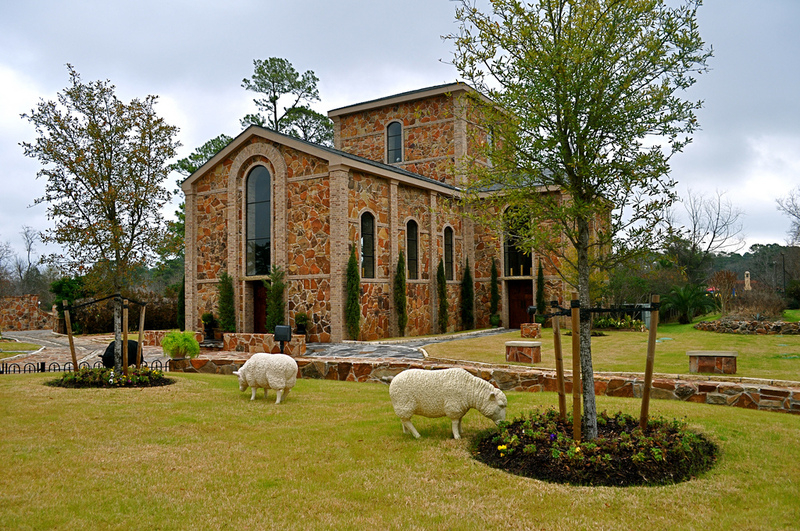 And if you are a pastor, church leader or scholar in need of a sabbatical, make Houston your second home for while and take advantage of the sacred space Mark and Becky Lanier have carved out in their own back yard. By David B. Capes in Uncategorized on September 2, 2014 . Reblogged this on Spiritual Formation on the Run.